The launch of the 2012 North West Charity 10k will take place on Monday, March 12th in the Mount Errigal Hotel at 7 p.m. sharp. 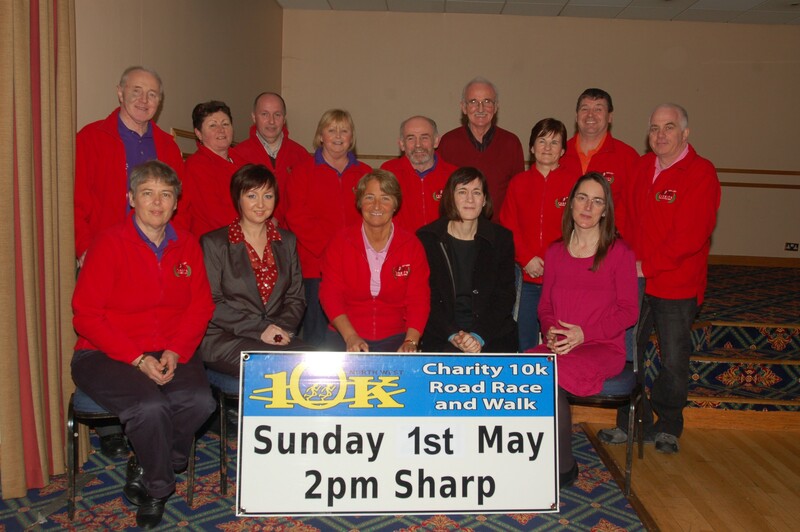 On the night 10k Chairperson Grace Boyle will announce the three charities that will be offered support by the organizing committee in their fundraising initiatives in the lead up to the charity race and walk which takes place this year on Sunday, May 6th in Letterkenny. All other charities taking part in the event must register with the 10k committee and are invited to come along on the launch night to confirm their participation. “We have had a huge level of interest since we first invited expressions of interest from charitable groups and organizations in November” the 10k Chairperson Grace Boyle said. With the committee having agreed to provide support to three charities for fundraising campaigns ahead of the event, interviews were held recently to select the successful applicants. The groups concerned will be notified shortly and will be officially unveiled on the launch night. However, all other charities interested in taking party on May 6th must also register with the 10k committee and are invited to come along on March 12th to confirm their participation. Over 2,500 took part in the 2011 charity race and walk. All are welcome to come along to the launch.